1. 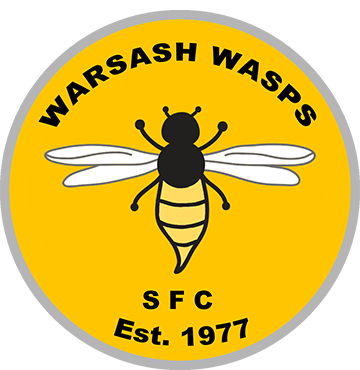 The club shall be known as “Warsash Wasps Sports and Football Club”. 2. The objective of the club shall be to promote the name of amateur football, provide sports facilities for children and adults on a non-discriminatory basis and to promote community participation in and around the Warsash area. The club will also abide by the FA’s Child Protection Policies and Procedures, Codes of Conduct and the Equality Policy as shall be in place from time to time. 3. The club shall be non-profit making with all income exceeding operational expenditure being re-invested in the club for the benefit of its members. 4. The club shall have a permanent Honorary President, three Officers and four Trustees. 5. PLAYING MEMBERS of the club shall consist of ‘JUNIOR MEMBERS’ who shall be children between the ages of five and sixteen years of age and ‘SENIOR MEMBERS’ who shall be youth / adults over sixteen years of age. 6. Every candidate seeking admission as a ‘JUNIOR MEMBER’ shall be proposed by a parent/guardian. All applications for membership shall be in writing and shall be signed by the candidate and the proposer and their acceptance shall be at the discretion of the committee. 7. The annual subscription for ‘PLAYING MEMBERS’ of the club shall be proposed by the committee and then discussed and voted upon at the Annual General Meeting (AGM) each year. The club shall keep subscriptions at levels within the club’s projected budgets and, should any member experience difficulties in paying their subscription, then the Club Treasurer shall have the power to reduce their subscription to a mutually agreed amount. Subscriptions shall be due on the first day of October each year. Any individual not having paid by this date will be in violation of club rules and will not be able to participate in any of the club sports (whether playing or training) or any other club activity unless there are extenuating circumstances previously agreed by the Club Treasurer. 8. The parents/guardians of ‘JUNIOR MEMBERS’ of the club will automatically become ‘PARENT MEMBERS’ of the club and will be eligible to vote at the club’s AGM. 9. Any person not being a parent/guardian of a junior member can apply to become a ‘NON-PARENT MEMBER’ of the club. Every such candidate shall be proposed by a parent member and his/her acceptance shall be at the discretion of the committee. If accepted, they will be entitled to vote at the club’s AGM and also be entitled to apply to become a Member or Officer of the club’s committee. 10. Upon joining the club, ‘PLAYING MEMBERS’ or, in the case of junior members, ‘PARENT MEMBERS’, shall receive in writing from the Club Secretary, a request for them to pay their subscriptions to the Club Treasurer along with a copy of the Club Constitution. If the requested payment is not received within one month of the Secretary’s notice their membership shall be deemed to be void. 11. The ‘OFFICERS’ of the club shall be the Chairman, the Secretary and the Treasurer. These Officers shall, on approval, be re-elected by the out-going committee in April each year and their re-elections confirmed at the AGM. The 2 ordinary committee positions of Director of Football and Club Welfare Officer shall also be elected on the same basis as the Club Officers. 12. The club shall be managed by a committee consisting of the Honorary President, the Club Officers and 14 elected Ordinary members (two of which shall be the Directors of Football, and Club Welfare Officer). Ten committee members shall form a Quorum. 13. The main committee shall have the power to make by-laws for regulating the conduct and affairs of the Club provided that they are not inconsistent with the Constitution and shall have the power to delegate to sub-committees as it sees fit. These sub-committees shall report and make recommendations to the Club Officers and main committee but shall have no authority to make decisions without the agreement of the main committee. 14.1 To appoint where necessary any committee member following an unexpected vacancy on the committee such appointment to be ratified or otherwise at the next AGM. 14.2 To exercise any powers of the club which are not reserved to the Trustees or a general meeting. 14.3 To manage the property of the club. 14.4 To delegate any of the day to day management of the property of the club to any one or more of their number including incurring expenditure not exceeding £100 per calendar month for that purpose and being reimbursed from the club funds provided that valid receipts are produced and all items are recorded in the accounts. 14.8 To request (by majority vote of its members and subject to approval of the AGM or EGM) that the Trustees of the club or such other person or body as set out in Clause 23 borrow money by way of a mortgage or otherwise to obtain such advance on the security of the club property or any part thereof as may be required for maintaining extending or improving the same or any part thereof or erecting any building thereon or for work carried on therein. 14.15 Subject to Clause 23.2 to employ paid or unpaid agents, staff or advisers. 14.16 To do anything else within the law and within the terms of any regulations governing the club, which promotes or helps to promote the objects of the club. 15. The committee shall have the power to alter the rules but no such alteration shall take effect until the same has been confirmed at the AGM or at an Extraordinary General Meeting (EGM) convened for that purpose. The Committee shall have the power to appoint Honorary Vice Presidents to recognize outstanding service to the Club. Honorary Vice Presidents shall automatically become members of the club for life, with all rights associated therewith. No formal duties shall be placed upon them. Their sole responsibility shall be to continue to further the interests of the club by such means as are within their power. Any such appointments to be confirmed at the AGM or EGM convened for that purpose. 16. At General Meetings, the Honorary President (or a person nominated by the Honorary President or, in his absence, a person appointed by the committee) shall take the chair. Every person present who is eligible to vote shall have one vote only upon every motion and, in the case of equality of votes, the Chairman of the meeting shall have the casting vote. 17. At AGM’s, ‘Ordinary’ members of the committee shall retire but shall be eligible for re-election provided they have attended a minimum of 6 meetings during their previous term of office or can show genuine extenuating circumstances to the Club Officers of their inability to attend. Should any committee member not wish to be re-elected they should resign in writing to the Club Chairman before 31st March. Notification of any resulting vacancy or vacancies shall be posted on the club notice boards not less than 28 days before the AGM. On such notification, any two ‘Parent Members’ may propose any other candidate in writing to the Club Chairman at least 10 days before the AGM. Details of these proposals shall be posted on the club notice boards at least 5 days before the AGM takes place. i) To receive from the committee a report, a balance sheet and statement of accounts for the preceding financial year, and a budget of expenditure for the current financial year. ii) To receive a report from Team Managers. iii) To confirm the election of the Club Officers and the Directors of Football. iv) To elect the 12 Ordinary members of the main committee. v) To appoint or re-appoint the club auditor(s). vi) To deal with any matter previously notified to the Club Chairman in writing. Vote, from the persons present who are eligible to vote. b) The candidates previously proposed in writing who wish to join the committee (as per item 17 of the Constitution) shall also be elected, subject to a majority vote, from the persons present who are entitled to vote. c) Should any vacancies still exist after the completion of items 18(a) and 18 (b) any nominations from the floor of the AGM will be accepted providing that the nominee is eligible. Nominees must be proposed, seconded and elected by a majority vote from the persons present who are eligible to vote . d) Should more nominations be received than the number of vacancies which exist in either Clauses 18 (b) or 18 (c) then a closed ballot will be held to determine the successful nominee(s). 19. The quorum at all General Meetings shall not be less than the total in number of members of the main committee of the club. ‘Junior Members’ may not attend. a) To consider and, if approved, sanction amendments to the rules. b) To receive the resignation of the committee or to remove any member or members thereof from office and to fill the resulting vacancy or vacancies. c) To deal with any special matter which the persons requesting the meeting have previously detailed to the Club Chairman in writing. 21. The main Committee may expel from the club any ‘PLAYING MEMBERS’, ‘PARENT MEMBERS’ or ‘NON-PARENT MEMBERS’ whose conduct is such that is shall be, in their opinion, injurious to the character of the club or not in the interests of its members. Before any such persons are expelled their conduct shall be inquired into by the Committee and they shall be given full opportunity to defend themselves and to justify their conduct. If a majority of the Committee present, when the explanation of their conduct is given, conclude that their actions and explanations are unsatisfactory, then the person or persons shall be asked to resign from the Club. If this resignation is not effected immediately, then the person or persons shall be expelled and will forfeit all privileges of membership and all rights against the Club. Any member expelled from the Club may appeal against this decision. In such cases the member must, within 7 days of the date of expulsion, submit a notification of appeal to the Club Secretary in writing. The notification should clearly specify the reasons for the appeal. The Club Chairman will then arrange for the appeal to be heard within 7 days of receipt of the appeal notification and the Committees decision will be final. In the event that any member feels that he or she has suffered discrimination in any way or that Club Policies , Rules or Codes of Conduct etc have been broken they should report the matter to the Club Secretary or Chairman in writing. In the first instance the Chairman and Secretary of the Club will meet with the member affected in an attempt to reach a satisfactory conclusion to the member’s concerns. If no such solution is forthcoming then the Chairman shall arrange for the Committee to meet with the member concerned and the Committee shall decide on the way forward to resolve the issue. Should the conclusion result in a potential disciplinary matter relating to a Club Member then the Club Disciplinary Procedure (Clause 21) will be adhered to .In addition to expelling a member from the club the committee also have the lesser options to either suspend membership for a set period of time or to warn an individual as to his or her future conduct. 22. The property of the Club shall be held by no less than two and no more than four Trustees who shall be invited by the Honorary President of the Club and subsequently approved by the Main Committee. The property of the Club shall be vested in them to be dealt with by them as the Committee may from time to time direct by resolution, of which an entry in the minute book shall be conclusive evidence. The Trustees shall hold office until death or resignation or removal from office by the Committee under Clause 21. Whereby reason of such death or resignation or removal, it is necessary that a new Trustee or Trustees be appointed then the Honorary President will make the necessary invites. In the event of the dissolution of the club, the Trustees shall ensure that after the club’s liabilities have been settled, all other properties will be donated to a club within the local area with similar aspirations and with Community Amateur Sports Club status. 22.1 The property and funds of the club must be used only for promoting the objects of the club and do not belong to the members of the club or the committee. 22.2 No committee member may receive any payment of money or other material benefit (whether direct or indirect) from the club except reimbursement of reasonable out of pocket expenses (including hotel and travel costs) actually incurred in the administration of the club.